Comeau Building featured in District Newsletter in Downtown West Palm Beach! 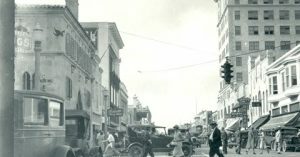 One of our stunning historic properties, The Comeau Building was featured in The District Newsletter, a local publication in Downtown West Palm Beach! What a great feature, complete with historic images of this stunning historic building!